ProCalV5 takes asset and quality management to the next level by adding precise, critical features vital for instrument calibration applications. The web-based software is fully compliant to meeting 21 CFR Part 11 requirements, with every iterated version subject to rigorous testing and validation prior to release. Administrative features allow manager and QA oversights over accounts, while setting robust general access rights and controls over workflow deployment. Authorized accounts can also customize data entry field labels and add unlimited user-defined types, raising separate records for managing test standards. ProCalV5 also places heavy emphasis on reporting, while promising paperless calibration via flexible import/export capabilities. The suite is bundled with over 80 standard reports designed with SAP’s Crystal Reports, with each incorporating audit trails and alerts plus calibration, loop and equipment reports – all previewed prior to printing and available as preformatted queries. Each fully customizable report can then be viewed, printed, printed as labels, shared via email or exported in Excel/PDF formats. ProCalV5 is the best software I have researched and implemented, and there have been quite a few by now. There are many pros that come to mind, the following are the most important for our organization: * Extreme flexibility to customize the software to your needs, like changing field names or adding many user defined fields. * Never ending list of features. You can use it as a basic calibration recall system with the minimum information you need or go all the way to Gages R&R. * Very user friendly and you can customize different level of access for group of employees or individual employees. * Excellent customer support, from the staff that works with you to import your existing data into the system, to the trainers to the tech support folks, when you have an issue or need help. The response time is just amazing. * If your organization needs a particular feature or change in the software they will work with you to make it happen. * ProCalV5 is not just a tool calibration software, it is also a equipment maintenance software. It is so flexible that we are actually using it to manage our inspectors mandatory eye exams. * Great audit trial, reminders, calibration/maintenance history, etc. They are great tools for your ISO/AS certification, employee accountability and not forgetting anything. * Multi-site option, allowing you to manage tools/equipment segregated by site and the level of access of employees or different sites. Regarding cons, I can not really think of any. Whenever there has been something that we have liked the software to do differently (I can think of once or twice in several years) the ProCalV5 folks have made it happen. We've been pleased with the functionality of the system. The software provides the required tracking and documentation to ensure our facility remains regulatory compliant.The system provides a reliable schedule for executing equipment calibrations. The software allows for the tracking and execution of PMs and work orders. The system provides a reliable schedule for executing equipment calibrations. The software allows for the tracking and execution of PMs and work orders. The approval terminology is a little confusing determining between finalized and approved documents. This requires understand for those in the process. The program is easy to use. It meets the needs I have for the calibration of customer instruments. Technical help has been very good. Well organized. Easy to move from one field to another, and understand interaction between them. Relatively easy to use. CONS that do not fit below: Rather than providing the initial calibration program without defaults, I think it would help to discuss defaults with the purchaser and set some basic ones for the customer before sending providing the software. Well organized. Easy to move from one field to another, and understand interaction between them. Relatively easy to use. CONS that do not fit below: Rather than providing the initial calibration program without defaults, I think it would help to discuss defaults with the purchaser and set some basic ones for the customer before sending providing the software. I do not like the fact that the NOTES can not be modified once they are saved, report not finalized. It would be helpful if you could modify an INSTRUMENT record and have that change show in calibrations that have not been finalized. Occasionly, we find an error in the way we entered an INSTRUMENT record when we enter the calibration; have to take an instrument out of a WORK ORDER, change the INSTRUMENT record and then put the instrument back into the WORK ORDER again. The order that is presented in WORK ORDER and CALIBRATION records (numerical, asending) should be changed to decending. Most often you are looking for a new record, not the first one you did. Difficult to add or modify REPORTS for our needs. NOTES, It would be nice to have a note entered in the INSTRUMENT record that could be selected to always show in the calibration notes for that instrument. The migration consisted of 32,000 tags, 10,000 instrument loops, 1000 motors, 1000 relief valves, 19 years of calibration history and a customized test equipment data base. We were quite concerned about the 19 years of history and insuring that it remained intact. We perform calibrations, motor and relief valve pm's daily, the ProCalV5 engineers provided methodology and tools to make database validation possible, a dauntingly task with 19 years of history and helped developed a plan to minimize database down time when switching to the new ProCalV5 database. The Procal team worked tirelessly to find ways to mimic the functionality the we had built into the customized Loveland database. We were on a strict time table and the Procal deployment initiative met the milestones which allowed us to stay on schedule. Prime Technologies provided two levels of training, administrator and technician training. The project was a total success. We have had two major outside audits since implementation, the Procal database and reporting tool greatly contributed to the successful audit. Prime Technologies was extremely supportive before we purchased, during the implementation and now two years after go live they are very responsive to our requests. $3000.00 one-time price, custom pricing available only on request. ProCalV5 calibration management software is subject to strict testing and auditing, producing a suite that is among the few to meet 21 CFR Part 11 compliancy. Robust and secure administrative features for setting access among unique, autonomous user accounts subject to change controls and e-signature approval. The ability to change field labels and add user-defined fields can be permitted to authorized users, while restricting test standards to specific instrument types. Leverage over 80 standard reporting and analytics templates created with SAP Crystal Reports, fully customizable and exportable to PDF/Excel formats. Options include alert, audit trail, calibration, company, conformance, document, instrument, inventory, loop, maintenance, system reports and more. Below are some frequently asked questions for ProCalV5. Q. What type of pricing plans does ProCalV5 offer? Q. Who are the typical users of ProCalV5? Q. 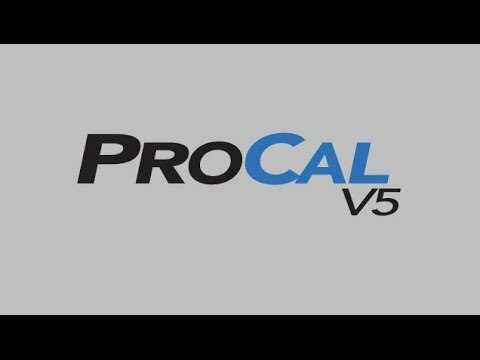 What languages does ProCalV5 support? Q. Does ProCalV5 support mobile devices? Q. Does ProCalV5 offer an API? No, ProCalV5 does not have an API available. Q. What other apps does ProCalV5 integrate with? Q. What level of support does ProCalV5 offer? Q. Which apps is ProCalV5 compared to most often?